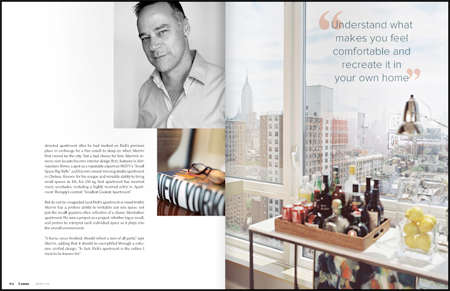 We’re so excited for our friend Ron Marvin who has a great feature on his work in the brand-new online magazine Lonny. 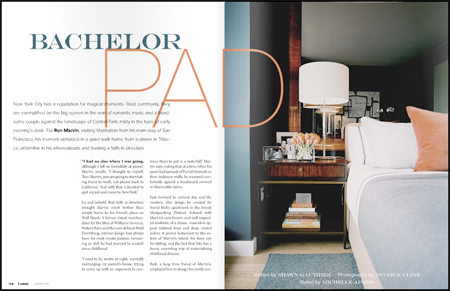 The magazine looks lovely â€” it was started by two Domino Magazine alumni â€” and is full of fabulous products and interior design. One very cool feature afforded by the digital format is that you can hover over a product within an article and click on a link to its retailer. 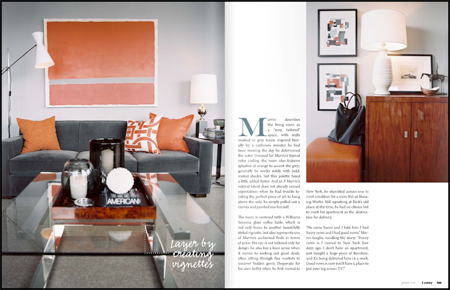 Some of our other faves featured in this issue are Grace Bonney of Design*Sponge and Eddie Ross (who was on Bravo’s Top Design). We definitely recommend checking it out. OUR MISSION is to reopen the doors of accessible design. By embracing an online platform we provide inspiration at the click of a finger, directly connecting our readers to their favorite products and resources. Our freedom from page limits means that we can share more content in each issue, delivering an intimate look into the way people really live. At Lonny, we value independent thinking and believe not in following trends but rather in making choices that lead to happiness. We believe that good design and affordable design can coexist and that true inspiration can be found in the teeniest of homes or in the grandest of spaces. Characters and plot like Lemony Snicket (cartoonish, punny, clever, full of secrets and back story) involving illusionists, half-brothers, beekeepers, aquatic shoes, pop-up enthusiasts, window dressers, secret recipes, rival Norwegian gumshoe gangs, and so forth. Costumes like uh, frickin’ magic. 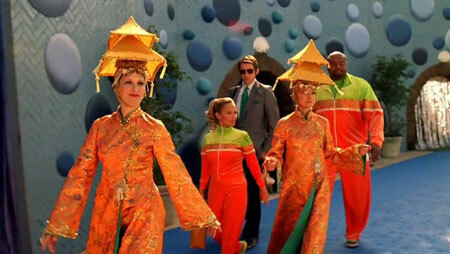 I can’t think of anything else that has costumes like this show. So amazing. Ten more brilliant and dearly missed costumes/sets/shots after the jump. Lots more after the jump. As long as we are giving shouts out to wedding photographers, I feel I must mention the wonderful photographers at Gertrude & Mabel Photography who shot Owen’s and my wedding a few years ago. Not only do Heidi and Judy take fantastic and artistic candid shots, they are also total pros at making portraits not look super posed. I’ll try to add a few of their shots from our wedding, but for now the shots above are all from Gertrude & Mabel Photography’s site. All images areÂ Â©Gertrude & Mabel. 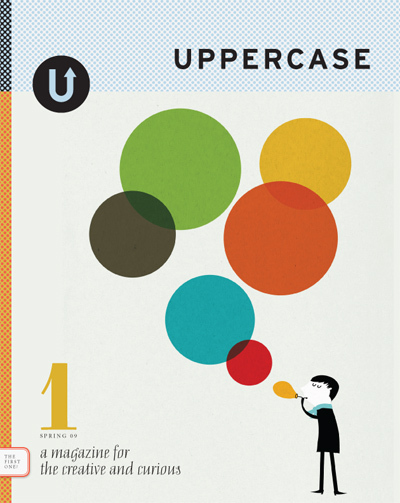 I was so excited to receive my copy of UPPERCASE Magazine (a brand-new quarterly magazine published by Uppercase Gallery in Calgary) in the mail last week. I haven’t been able to read it super thoroughly yet, but from my few cursory looks, it is fantastic. I was a little nervous about subscribing without ever seeing it, but went ahead because the UPPERCASE blog is so well curated. So far, I have not been disappointed. Definitely check it out if you can â€” the magazine is available at a few retailers and, of course, at UPPERCASE. The cover illustration is by Madrid-based artist Blanca GÃ³mez; her work is available for purchase at her site and at her etsy shop. The lovely script on the lower-left corner of the cover is Mary Read (which Owen discussed in last week’s Font-y Friday). In case this is the font-iest of blogs you read, let me be the first to break it to you that Typographica is back! Their opening salvo, a return of the “Oscars of type Design,” their Favorite Typefaces of the year feature (see also 2004, 2005, 2006 and 2007 entries), is terrific and their new layout marvelous. It wasn’t just that our attention was diverted — other type bloggers took the reins and did it better, more beautifully and comprehensively, with more brains, more fervor, and more expertise. And, of course, there’s really no reason to go anywhere else to discuss type with knowledgeable peers than Typophile. The new typographica, then, is not trying to compete with its supercharged grandchildren as another type blog, but as a “vehicle for typeface recommendations and reviews.” I couldn’t be more excited. Four of our favorites from this year’s favorites list (other than Archer that we already established is next on our must-have list!) … after the jump. So the New York Times Magazine this week was The Green Issue. The articles are pretty good, and they’re online with what looks like a lot of other media. I am excited for instance about electric cars that swap batteries rather than refuel. The weekly profile is on Stewart Brand (Whole Earth Catalog, WELL, Clock of the Long Now), who is fascinating and inspiring. But here’s my gripe: Windsor? The rationale seems to be because it was used for the Whole Earth Catalog, but that doesn’t fly with me. This indicates to me the reader that environmentalism is best thought of as a phase from the 70s. If you’re going to report on the state of the world right now, NYTM, please please don’t use the vernacular type of yesteryear. In fact unless you want to evoke the 70s best to just keep your ITC locked away. I ordered the book Print Liberation for Owen for Christmas, but it sold out everywhere before it arrived. The book finally got here today, and I am super excited. I’ve been wanting us to get back into traditional screenprinting (instead of just gocco) for a while now and I think this book might give us the push we need. I commute on MUNI, BART and CalTrain 5 days, roughly 13 hours a week. I’m not complaining; in some ways it’s awesome. For instance, reading time has been restored to my life in spades. In the last few months I read some good novels, tried to read the most annoyingly terrible book ever to have been called genius, read not as much nonfiction as I should have, and found myself regularly looking over the shelves with to figure out my next read.